The popularity of infinite scrolling WordPress themes nowadays is on the rise not only in websites engaged in social media networking and other more. If you are a WordPress user you can consider yourself lucky, as there are dozens of free and infinite scroll WordPress themes around. 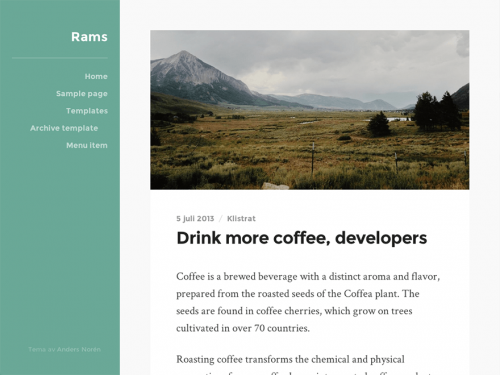 Below, in this article we have listed awesome free infinite scrolling themes for WordPress. These themes support infinite scroll, a way to pull new content automatically whenever a visitor approaches the bottom of a blog, instead of having to click through older-pages links. If you like this effort then don’t forget to take a look on other articles: Free Facebook Event Widgets for WordPress, Free Knowledge Base Plugins for WordPress and Free Boxed WordPress Themes 2015. 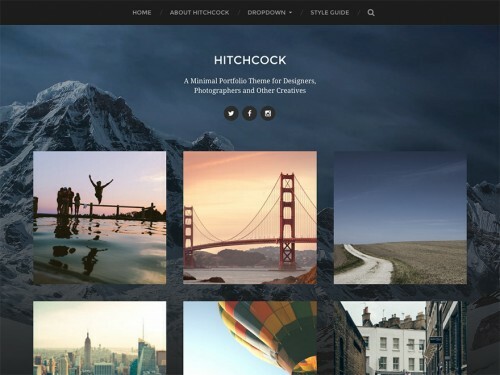 Hitchcock is a minimal portfolio theme for designers, photographers and other creatives. It features a beautiful responsive design, a social icon menu, Jetpack infinite scroll, custom accent color, custom header image, support for the gallery post format, editor styling and much more. 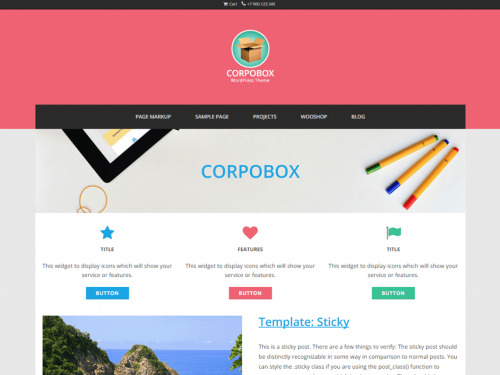 Responsive Multi-purpose Theme for a personal blog or a business website. 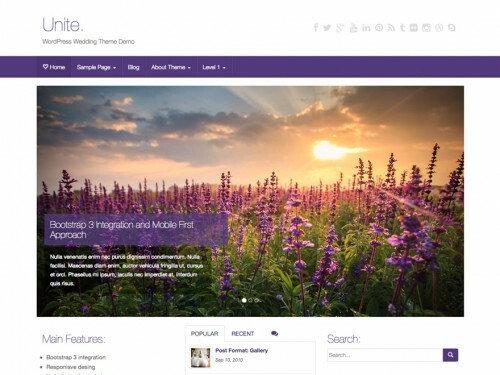 The theme is ready to use WooCommerce plugin. You can create a store. You can change the style of elements using built-in field custom CSS. Support for galleries, video, audio, quotes, links. Responsive Video Posts, Slideshow Posts Gallery and prettyPhoto lightbox. You can create portfolio using the Projects plugin. 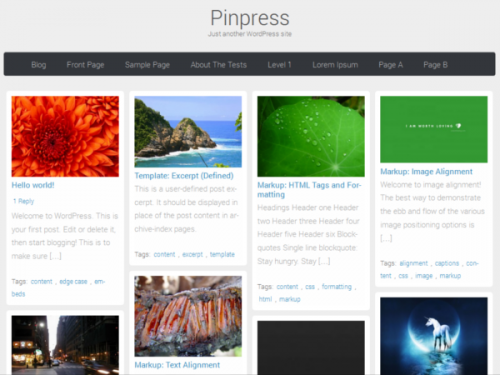 Projects by WooThemes plugin support. 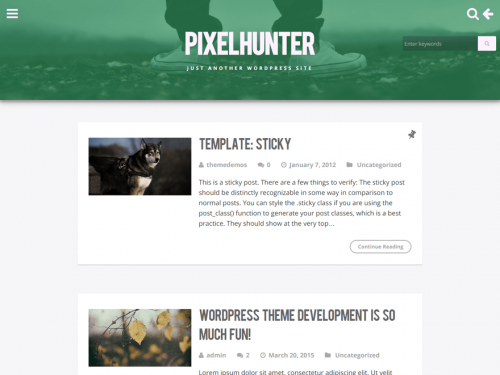 PixelHunter is a simple, clean and responsive blog theme. Greet the visitors of your site with the content they are after instead of some flashy content. PixelHunter puts content first in a cleanly laid out cards. Navigation and Sidebar are both off-canvas and revealed when required with cool transition. 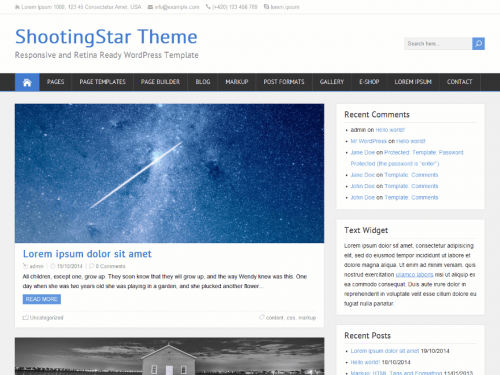 ShootingStar is an easily customizable theme which can be used for your Blog, Magazine, Business or eCommerce website. It is a fully responsive and Retina ready theme that allows for easy viewing on any device. ShootingStar theme offers 3 pre-defined color schemes, 220 Google fonts, Theme Customizer for easy adaptation to your needs, infinite scroll for the post entries, ability to set your header logo and favicon, sidebar and footer widget areas, contact information in header, theme documentation and much more. evolve is a multi-purpose WordPress theme that has recently been redesigned as a full responsive theme for all devices. 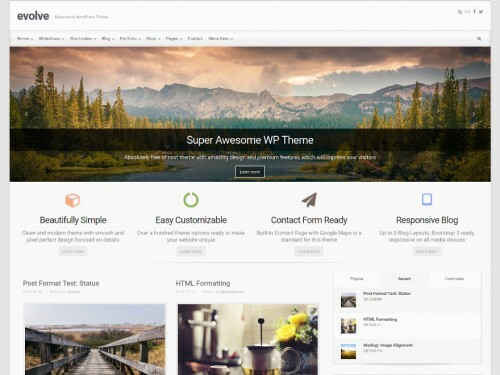 The theme includes a slick Bootstrap and Parallax slider with up to 5 slides on any page and a post slider for 10 posts per post category. There are a number of different slider and animated effects to move captions and images into position and then back out of frame again. Responsive full screen theme for bloggers. 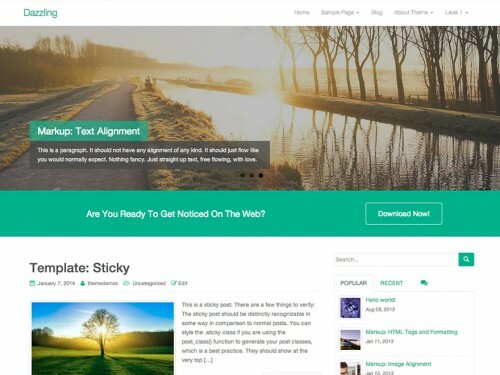 The choice of color, background image, custom header images and other settings using the WordPress Customizer with a live preview. Square tiles grid for the home page and blog posts. Has built-in context help. Ready Jetpack infinite scroll. 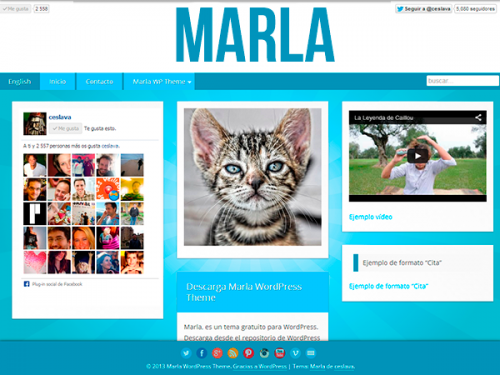 Marla is a free WordPress theme easily to customize. From a single page you can edit lively the colors, logo, footer, social icons, author bio, layout, etc. Started from a homepage with a pinterest like design with infinite scroll to single posts and pages in just one clean column. 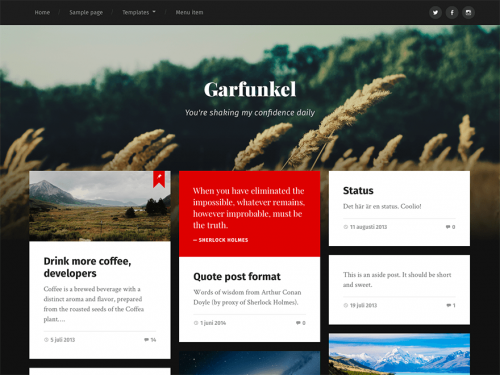 GalaNight is an easily customizable theme which can be used for your Blog, Magazine, Business, eCommerce or Events website. It is a minimalistic, fully responsive and Retina ready theme that allows for easy viewing on any device. 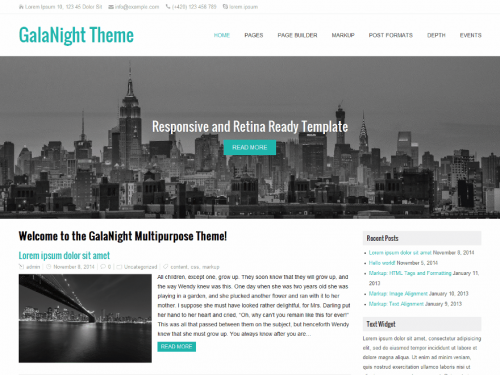 GalaNight theme offers 3 pre-defined color schemes, 220 Google fonts, Theme Options panel for easy adaptation to your needs. 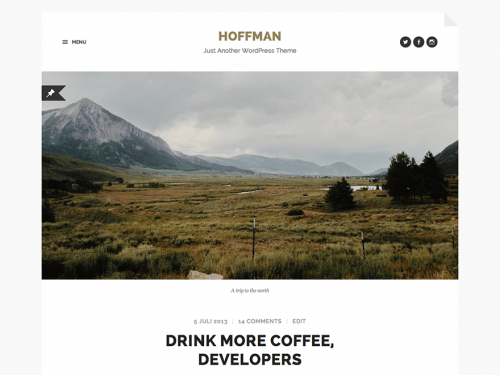 A clean, minimalist and responsive theme for bloggers. Features responsive and retina-ready design, support for the gallery, video and quote post formats, custom accent color support, Jetpack infinite scroll integration, editor styles and translation ready code. Dazzling is a clean, modern, minimal and fully responsive flat design WordPress WooCommerce theme well suited for blogs, static and eCommerce websites. Theme can be used for travel, corporate, portfolio, photography, green thinking, nature, health, personal and any other creative and minimalist style website. Unite is a clean, modern and fully responsive WordPress wedding theme built using Bootstrap 3 which makes it optimized for tablets and mobile. It is a highly customizable eCommerce theme with unlimited color variations that can be tweaked via simple yet powerful Theme Options. Theme has a built-in Popular Posts Widget, Infinite Scroll (powered by Jatpack) and translation support. ShprinkOne is a Bootstrap 3 responsive theme that can fit any screen (mobile phone, tablet, laptop, desktop). 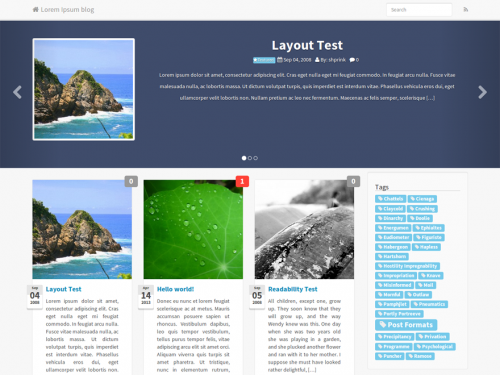 Features a theme picker (10 choices), a slideshow on the home page, posts as pins (masonry), infinite posts scroll, several Widget, Menu positions and multi language support. Should SMB’s Meet Cloud Computing Half Way?